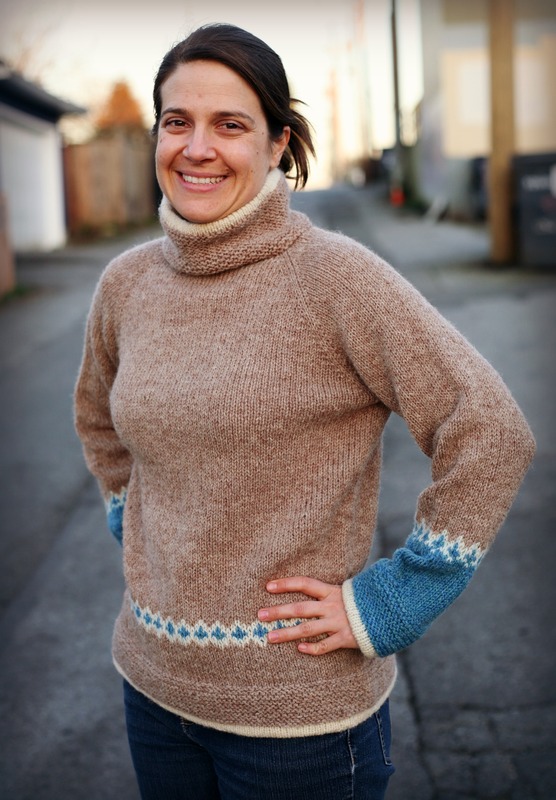 Hilary recently finished knitting up the Moon Pulls Sweater designed by Diana Walla. 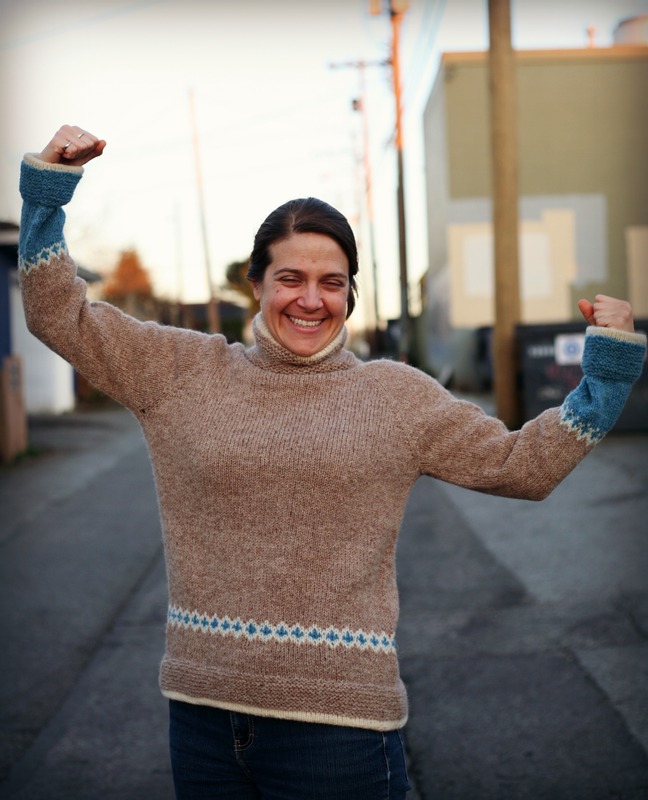 She knit the sweater in the Briggs and Little Regal, and I swear she finished it in only 2 weeks. 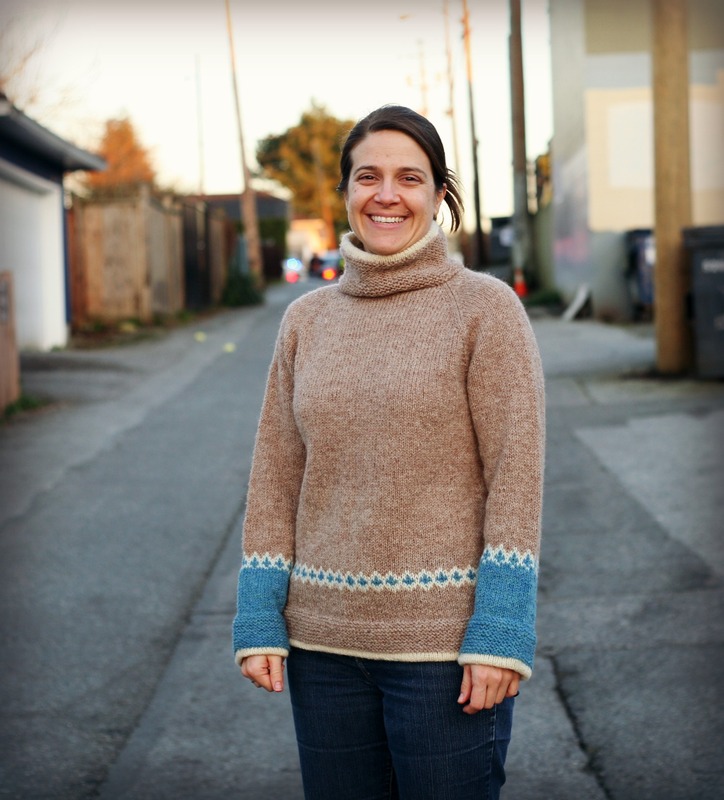 Hilary is on a bit of a finishing streak and has made so many beautiful sweaters I can barely keep up. 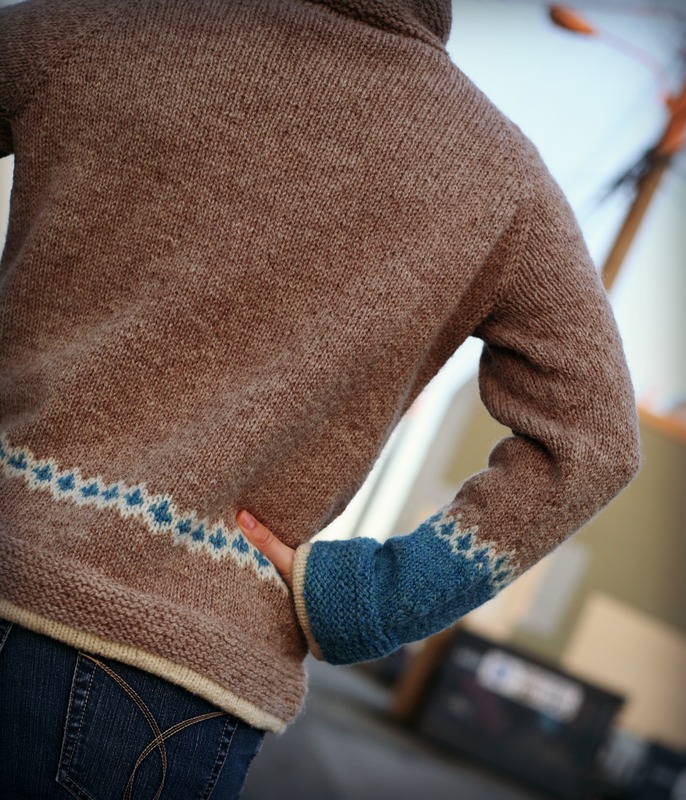 She used the light brown, white and turquoise colourways. Thanks Christina for modelling the sweater!